The Iowa legislature has voted to let three-wheeled vehicles used to spray farm fields carry up to 25,000 pounds of chemicals or nutrients on Iowa highways. Representative Cindy Winckler, a Democrat from Davenport, said the bill will have unintended consequences. “As we continue to have heavier and heavier farm equipment and raise weight limits, we are putting our roads and bridges in jeopardy,” Winckler said. Representative Sharon Steckman, a Democrat from Mason City, said county officials in her area object. 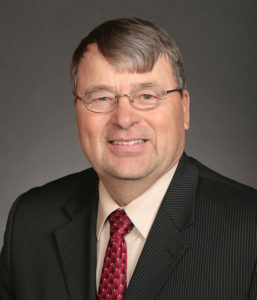 Republican Representative Norlin Mommsen of DeWitt said the tires on sprayers are not like regular truck tires, but function a bit like snow shoes. Distributing the weight of a sprayer is important in a corn or soybean field. The Iowa Senate passed the bill unanimously last week. The House passed it Tuesday on a 73-25 vote and sent it to the governor for her consideration.